All sessions will give teachers and school leaders ideas that will help tehm implement their own school's STEM initiatives and stimulate thinking and discussions about the importance of STEM to our futures. Registrations open Wednesday 6 June 2018. 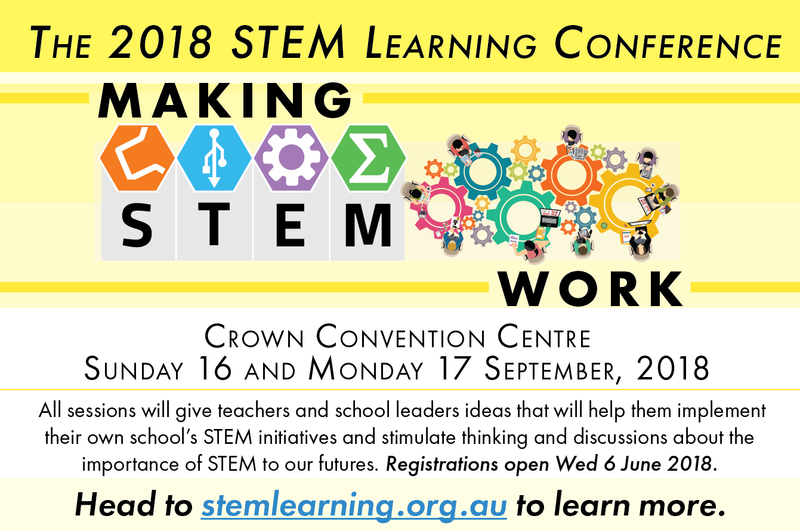 Head to stemlearning.org.au to learn more.